The first time I saw Zero Dark Thirty left me shaken to my core, affected to an extent I rarely experience at the cinema. I was deeply moved by what I saw as a powerful meditation on obsession and revenge and disturbed by the harsh realities and costs of the War on Terror. And yet everywhere I looked I saw the movie being misrepresented as a nationalistic pro-torture piece. It was absurd! Had they all seen an entirely different movie than I had? The torture scenes had left me sick to my stomach and filled with disgust at the tactics my country had used, tactics our tax money had helped fund. These “enhanced interrogation techniques” were clearly not being depicted in a positive light. This latter claim is, of course, hogwash. There are a number of means of obtaining intelligence shown in the film, and while torture is one of them, there is absolutely no commentary on its relative effectiveness compared to other techniques. But McCain and Morell do raise a valid question: does torture, as portrayed in Zero Dark Thirty, work? Honestly, the answer is rather muddled. But instead of boring you with plot details (just go see the movie—it’s really damn good), I’ll say that, while it is mostly ineffective, yes, there is some important information garnered from the detainee program. “A-ha!” you cry. If the movie admits that water boarding and other atrocious human rights abuses helped find bin Laden (which may or may not be the case in real life), then water boarding is good, because it did a good thing. But really, is the best argument against torture that it doesn’t get information? There is so much more to it than whether or not some droplet of intelligence is gleaned: torture in and of itself is an act of cruelty, and we must also consider the emotional tax on the torturers, the relinquishing of moral standing, increased ferocity in an opposition angered by the horrific treatment of their brothers, and countless other issues. To measure the efficacy of the practice based on the success of one isolated operation seems rather shortsighted. Admittedly, Zero Dark Thirty does not dive into the thornier aspects of this debate. It rarely expands to give a broader view of the War on Terror, choosing instead to focus on one CIA operative named Maya (played admirably by Jessica Chastain) and her resolute determination to find and kill Osama bin Laden. Maya is a fascinating character and, ostensibly, the protagonist of the film. We feel her presence even when she is not on the screen; she has lit a fire under the collective asses of both her CIA colleagues and Seal Team Six. She is the engine that drives the entire search. But although her fixation on eliminating bin Laden stems from a genuine desire to weaken Al Qaeda, it turns into something more. The manhunt becomes her whole life—it is all she does and it is all she is. She might put on the air of an action hero and get to dispense a few badass lines, but we sense her slowly losing her humanity in the dirty, roll-up-your-sleeves-and-get-down-in-the-mud world of war. In one of the first scenes, a beaten and battered detainee begs her for mercy. We can tell she is not comfortable with everything that is going on, but she steels her voice and tells him only he can help himself by giving information. She has chosen to sacrifice her own comfort and her own ideals for the hunt. In this way, her fall parallels our nation. Zero Dark Thirty is America’s conscience—it shows us the depths to which we descended in an Ahab-esque quest for what was, in the end, just one more corpse. Except, maybe it’s not only that. I knew I was reading my own biases into the movie, so when I went to see it a second time, I made a conscious effort to try and understand where some of the movie’s critics were coming from. And it turns out, they’re right about ZDT—it does not condemn torture. I was right too, though, for neither does it condone the act. The movie simply takes a series of realistic events based on facts and presents them for the audience. Just how realistic and based on fact the movie actually is is not entirely clear. While the overarching narrative is very much mired in reality, the specific details range from exact to downright inaccurate. This seems to have contributed to McCain’s ire; in their letter to Sony, he and his fellow senators wrote, “You have a social and moral obligation to get the facts right.” Yet relatively few have been complaining to the creators of Argo or Lincoln or any other movie “based on a true story,” none of which are completely accurate. Is the hunt for bin Laden too recent, too fresh in our minds, too holy, too important, or too provocative to fictionalize? My answer is no; if anything, I say these conditions make Zero Dark Thirty more necessary. For so many, the killing of bin Laden was some faraway event carried out by a group of badasses called Seal Team Six that caused nothing but a rush of patriotism. Zero Dark Thirty, to me, pointed out the foolish naïveté of everyone who thought that bin Laden’s demise was a mindless excuse to party. It exposes the layers of pain and death behind the attack. When Osama is shot in the movie, I may have been relieved, but I sure wasn’t about to celebrate. Which is why I was so offended by Rolling Stone’s Chris Taibbi, who seems certain that audiences were expected to cheer at the end (his theater did). He claims, “the idea that audiences weren’t supposed to identify with Maya the torturer is ludicrous,” and argues that Maya was built up more like “Wonder Woman” than “Captain Ahab.” His article revealed what I had found so bothersome about the “ZDT is jingoistic” contingent—the confidence that every viewer must have had the exact same reaction as him. Part of what separates art from journalism is the way in which we relate and react to it, yet with this film so many have ignored that distinction. I certainly did not identify with Maya—on my first viewing especially I was almost afraid of her. Does that make me ludicrous? Bigelow herself told Time that the movie “questions what was done in the name of finding bin Laden.” It doesn’t answer that question, nor does it claim to. Bigelow herself has been purposefully vague on how she might personally answer that question; I suspect this is because she doesn’t want her answer to be misconstrued as the film’s thesis, when the fact is that it doesn’t have one. To fixate on whether it is “pro” or “anti” torture is to refuse to understand the entire purpose of the film. 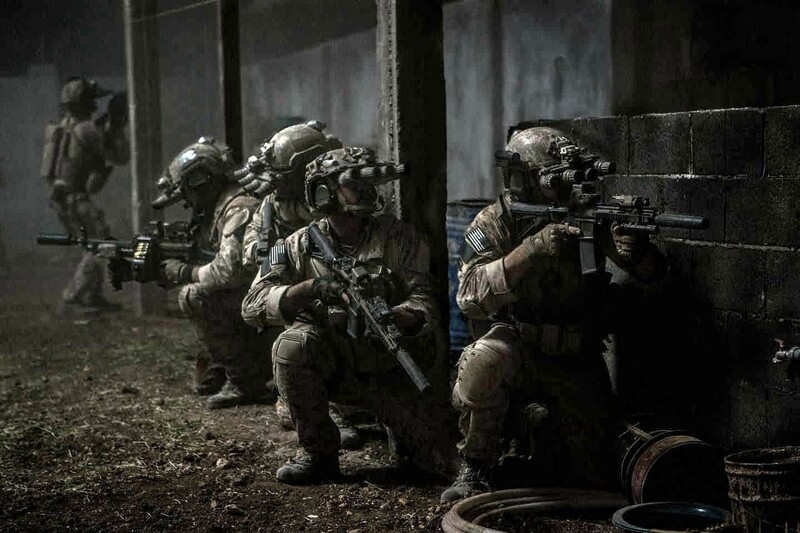 The specific details don’t matter—Zero Dark Thirty recreates the essence of the hunt, shoves an ugly decade-long process in our face, and leaves us no choice but to reflect. It would make no sense to isolate the torture; whether or not it was effective, it was, in Bigelow’s words, “a part of the story,” and must be considered as a component of the larger narrative. Maya, like America herself, crossed moral lines and lost some of her identity in her attempts to destroy Osama bin Laden. Was it worth it? No amount of journalism can give this question the emotional weight we experience due to a work of art. Whether we’re brave enough to answer is up to us.